Two pictures of Chai Ann's latest litter, born November 20, 2015. 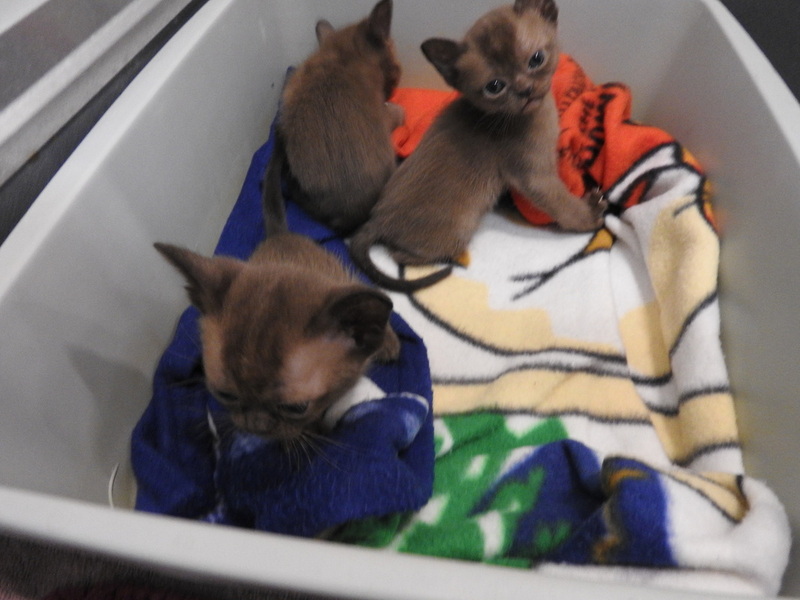 One of these kittens is a female going to a breeder in West Virginia, one is a male that will stay in my breeding program, and the other two are males that are sold. 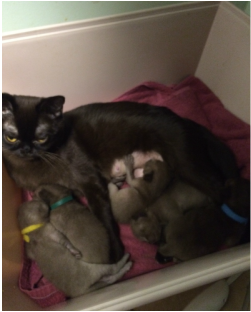 Mai Tai looks a bit bored with her 5 babies born November 30, 2015. Thanks to my pet sitter, Sara, who kept them going while I was gone. Pictures on this page are representative. Please Email Karen at kvet@bellsouth.net to find out what kittens are available. Pet Kitten price is $900 for sables, $1000 for other colors. Price includes surgery, microchip, health guarantee, and preliminary vaccinations. At Panthat Cattery we strive first, to produce healthy kittens that improve the genetic diversity of the breed and second, to produce kittens who closely match the breed standard. Those that best typify the breed are retained for our breeding program, placed with other CFA breeder/exhibitors, or made available to a purchaser who is interested in showing but not breeding. Pet quality kittens can be placed in approved homes at about twelve weeks of age after they are altered and microchipped.Click the APPLICATION button to access an application to purchase. 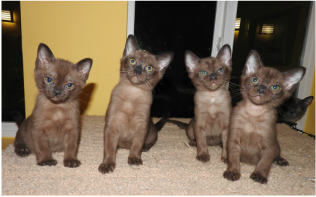 Approved purchasers will need to send a deposit to hold kittens that are not old enough to leave the cattery yet. We do not ship kittens. If you are not close enough to drive here we can make arrangements to deliver but additional fees may be necessary. Adult cats are also available on occasion. The price varies depending on the age of the cat. Adults are especially recommended for families with small children and for the elderly. Use the kitten application to purchase an adult. Special arrangements can be made for purchasers interested in obtaining a cat for showing. 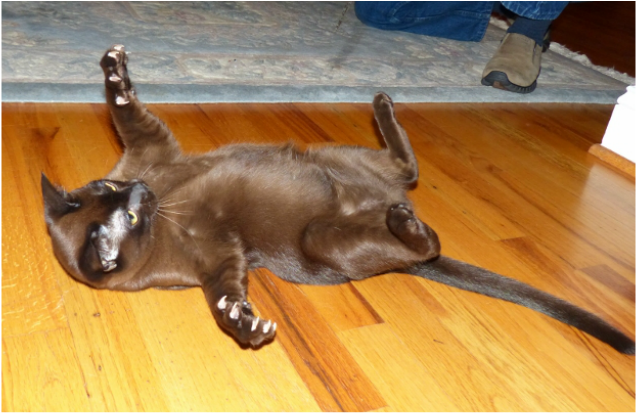 Burmese cats are excellent show cats for beginning exhibitors. They often enjoy traveling and they usually love to be handled and shown. They are easy to groom requiring regular brushing, a bath, and a toenail trim.